Some dogs eat inappropriate things one of them being poop. This behavior even has a scientific name for it- Coprophagia. In case you are wondering why your dog is eating poop all of a sudden, then this guide might have some answers for you. You might find it a disgusting habit but in reality, poop eating is natural behavior for some dogs, and especially in puppies. Mother dogs also often lick or smell their pup’s poo. Naturally, as a pet parent, you want to stop this behavior as it could lead to health problems. So let us discuss some ‘stop dog eating poop’ products and other natural remedies to prevent coprophagia. Why is your dog eating poop all of a sudden? In many cases, this is the common reason behind dog eating feces of another dog or itself. A simple trick like adding vitamins and minerals or enzyme supplements to his diet can solve the issue as it enhances absorption of nutrients. Earlier, pet parents would be quick to assume that their pet is eating poop because he is not getting adequate nutrition. However, that is not always the case. Premium dog food contains all the nutrition your pet needs. So much so that the pet thinks the food needs to be ‘savored and tasted’ a second time round! So if your dog is eating poop it could be because he finds it too delicious or that the fat and carbohydrate content in it is very high. Change your pet’s food brand after discussing the matter with your vet. Worms in your dog’s tummy could be another reason why your pet is suddenly eating poop. De-worming tablets can help. Discuss with your vet if your pet needs any other medicine to get rid of parasites. A stool test may also help. Certain health issues like diabetes or hyperadrenocorticism can also lead to such unwanted behavior in pets. These diseases cause intense hunger in dogs which then leads to them eating non-food items. This is known as pica. Anemia or lack of hemoglobin in blood can also cause this behavior in puppies and adult dogs. Is dog eating poop harmful? Certainly. Your dog’s poop eating habit is very dangerous for him and also for other pets and humans in your family. He could develop serious infection, not to mention foul breath and he could even pass on the infections to people around him. Moreover, dog eating feces also means some serious underlying health issue like intestinal worms or adrenal issues. Monitor your pet’s behavior for a few days. If, despite using commands like ‘stop it’ or ‘No!’ your puppy continues to eat poo, then you must seek your vet’s advice. Dog eating poop and throwing up is a sign of gastrointestinal infection. 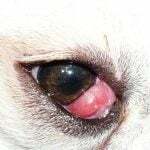 It is best to consult a vet if the symptoms continue for over 2 days. What can you do to stop dog from eating poop naturally? Most puppies will outgrow the habit. Keep your puppy engaged, well-exercised and tired. This way, he will have no energy to indulge in unwanted behavior. Sometimes, your pet might do it just to get your attention. In such a case, stop and redirect him. If your puppy continues to eat poop despite all these training tips, you must consult a professional trainer or your vet. Never leave your pet off leash. If he is eating poop from the yard, pick it up and discard it immediately. If your dog is too fast for you, keep him on leash. As stated before, dogs eat poop if they find it too appealing and tasty. Change the food to high quality, easy to digest food. If all the nutrition is being absorbed, there is lesser need for him to eat the poop for nutrients. In dogs with diabetes, feeding smaller, frequent meals can prevent coprophagia. This will regulate blood sugar and release feel good hormones to stop unwanted behavior. Commands like ‘Leave it, drop it, stop it or No’ can be helpful in training puppy to stop eating feces. The commands can also come in handy from stopping him from eating other non-food items (pica) like stones, rocks, twigs, bones etc. 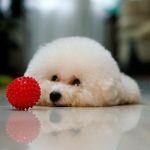 Such behavior is very dangerous as your puppy may not always be able to pass off these items which could then require surgical intervention for removal. Your dog may eat poop all of sudden when he thinks he is not getting adequate attention from you. So engage in active playtime with your pet. Take him for walks twice a day. Play with him, teach him tricks and give him all the love and attention he needs. In some cases though, your pet might lick feces just to gain your attention. If this is the case, then refrain from shouting, talking or touching him. When he understands that you ignore him each time he turns to poop, he will stop this unwanted behavior. This is a great way to stop your dog from eating poop naturally. Sprinkling deterrents like chili powder, hot sauce or grated orange zest over feces and poop in the yard can help stop dog from eating it. Many owners have found that food items like pineapple and grated courgette added to dog food impart unpleasant taste to the feces. This is a natural remedy to stop your dog from eating feces. Health and hygiene is an essential part of preventing coprophagia. Never let your pet lick your face or sleep in your bed. Also de-worm your pet regularly to prevent intestinal worms. Some vets recommend digestive enzyme supplements for dogs who indulge in such behavior. These supplements enhance absorption of nutrients from the food. This can help prevent poop eating in puppies and adult dogs. 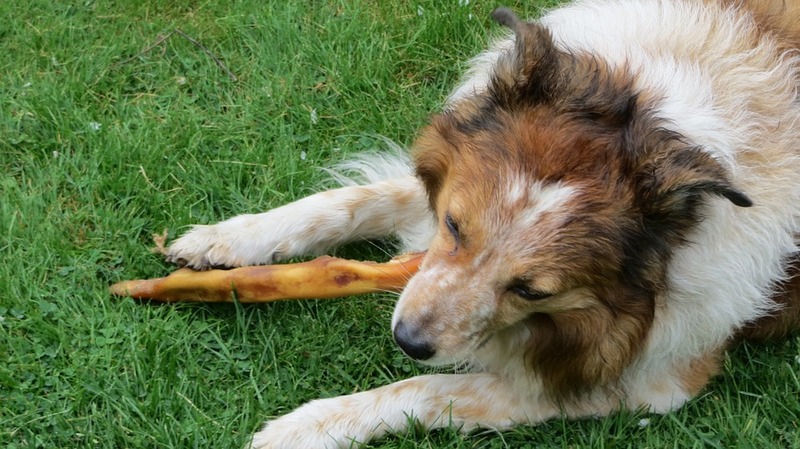 Dog Eating Grass and Vomiting - Should You Be Concerned? 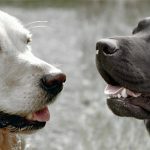 Golden Retriever vs Labrador – Which Breed Should I Choose?